Should We Always Cast Towards Leaping Carp? If I cast towards jumping carp will it spook them, if so, what should I do? Yes, casting on top of a showing or leaping carp will probably spook it away. The trick is to cast further beyond their location by about 20 feet, then draw the rig towards the area where the fish leaped out. Remember to draw the rig back during the fall and not after it hits the bottom as you may catch the hook on some debris. Casting towards a carp topping in this way means you’re less likely to spook the fish and it’ll have more chance of spotting the hookbait before leaving the area. Casting to Leaping Fish Can Give Positive Results! When casting towards showing fish, another thing to remember is to use a lighter lead as it will make less disturbance when it hits the water. Also, try plopping in a few baits before casting out a rig to leaping carp. With this method the carp may assume the lead is another boilie dropping into the water, which it is, but this time it’ll have a hook attached to it! Remember though, a jumping carp is NOT always a sign that it is about to feed. It could be cleaning itself of parasites or unwanted debris, communicating to other carp or enjoying a change in water conditions or air pressure. If you’re not catching when casting to leaping fish it may simply be a case that they’re not feeding at that time. 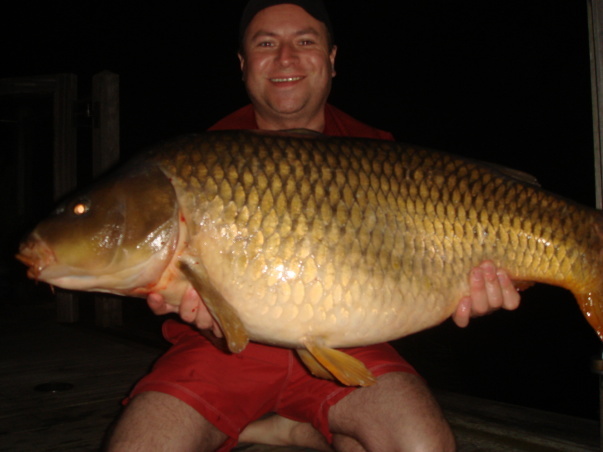 Like many situations in carp fishing, you're trying to increase your chances of finding a feeding carp. Casting to a jumping carp is another possible way of closing in on a feeding fish, it’s not guaranteed but it’s always worth a try no matter why the carp was jumping! Casting to Showing Carp can produce surprising results!